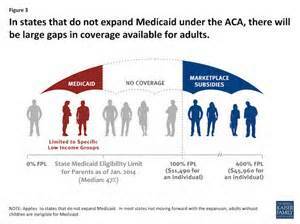 Missouri has been slow to adopt Medicaid reform changes and Medicaid Expansion is more of a wish than reality at this point. States who have expanded Medicaid as defined by the Affordable Care Act have experienced improved health for their citizens and have solidified hospitals ability to stay open. While Missouri law makers continue to talk about the cost of Medicaid Expansion Missouri tax dollars are leaving the state at an alarming rate. Money coming out of every Missourians pay check is going to other states to pay for Medicaid, that money could be coming back to Missouri to help our friends and neighbors. I understand law makers concerns about the State’s cost of Medicaid but what I don’t understand is why we aren’t talking more about keeping our tax dollars at home. We are paying for the expansion but not realizing the benefits. Our tax dollars are being spent to improve the health of residents of Arkansas, Texas, Florida and 25 other states. That money could stay here and help to support our local communities and our neighbors, and maybe even you one day. It’s not even extra tax dollars, its money that is already being taken out of our checks, over 4 billion in the last two years. That’s 4 billion that could’ve made its way back into Missouri funds if House and Senate Representatives voted yes for expansion or at the very least reform. I realize the state is short of money and that’s why I scratch my head at law makers reluctance to keep our money at home. This entry was posted in Uncategorized and tagged medicaid expansion, Medicaid Expansion Missouri. Bookmark the permalink.